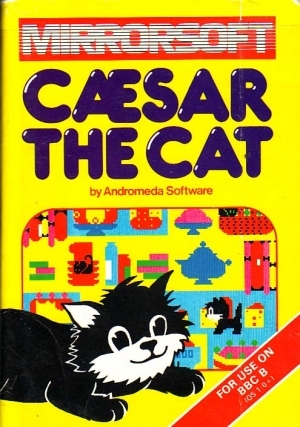 CAESAR THE CAT. 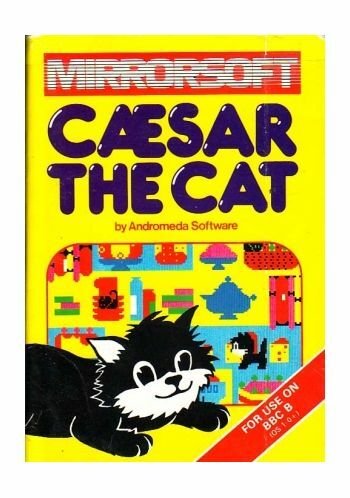 MIRRORSOFT. Meet Caesar, a cheeky young cat on duty in a well stocked larder. He's kept busy chasing a gang of hungry mice eating the family's food.Playing against the clock, you guide Caesar along crowded shelves to pounce on the mice and take them from the larder, Watch out for the crockery. Instructions On Reverse of Cover.